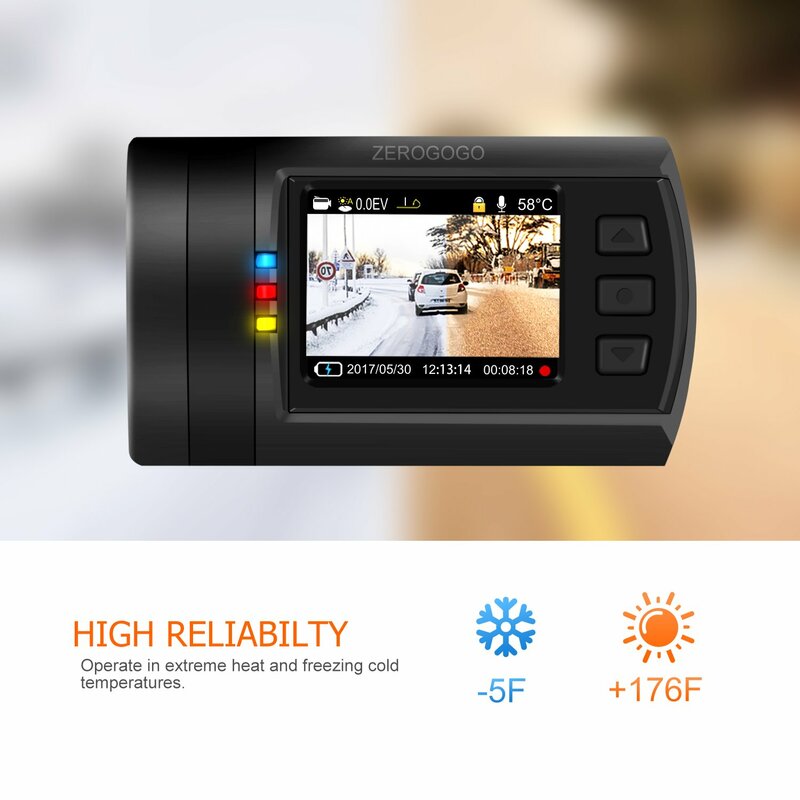 Zerogogo is perhaps one of the lesser known dash cam brands on the market at the moment, but we knew that they had received plenty of positive customer reviews on their devices so we were eager to test out their entry level dual dash cam. Whilst we did have a few minor niggles, overall we were quite pleased with this one. Below you will find our in-depth analysis. Very easy to install by running the cables to the 12v socket. High quality front and rear recording. Temperature control feature protects device from hot and cold temperatures. Parking mode is very good for those who park on the road overnight. The initial configuration is a little complicated and hard to figure out. GPS tagging is a little slow to update. One of the first things that we noticed about this dual dash cam is the fairly basic design. Initially, we have to say that we weren’t exactly blown away by it. However, you do have to remember that this is an entry level device and what it lacks in design it definitely makes up for in other ways. One of the things that we did like about this dash cam is that it feels very robust. The materials feel a lot more expensive than the device is which is a really nice touch. The one thing that we did feel about the design is that it perhaps would be better with the addition of an LCD screen. However, overall, the design is nice and sturdy, if a little bulky. Before we started the installation process, we decided to carry out the initial setup. This is where we ran into a few issues. We found that the initial configuration process was a little too complex. We found the whole thing a little confusing which was quite frustrating. However, once we had finally figured it all out and set it up we were ready to install it in the car. Fortunately, the installation process was a lot easier. It is simply a matter of running the cables from the dash cam through the car and plugging the power lead into the 12v socket of your car. By doing this, the camera automatically starts when you turn on the ignition. We had no trouble activating the recording on the device, but we did run into a few issues when playing back our footage. The one thing that we found is that the uploading of GPS tags was a little on the slow side. It took quite a while to pinpoint exactly where we were on a map when recording was activated. However, we did find that it was a lot faster when viewed on a PC. 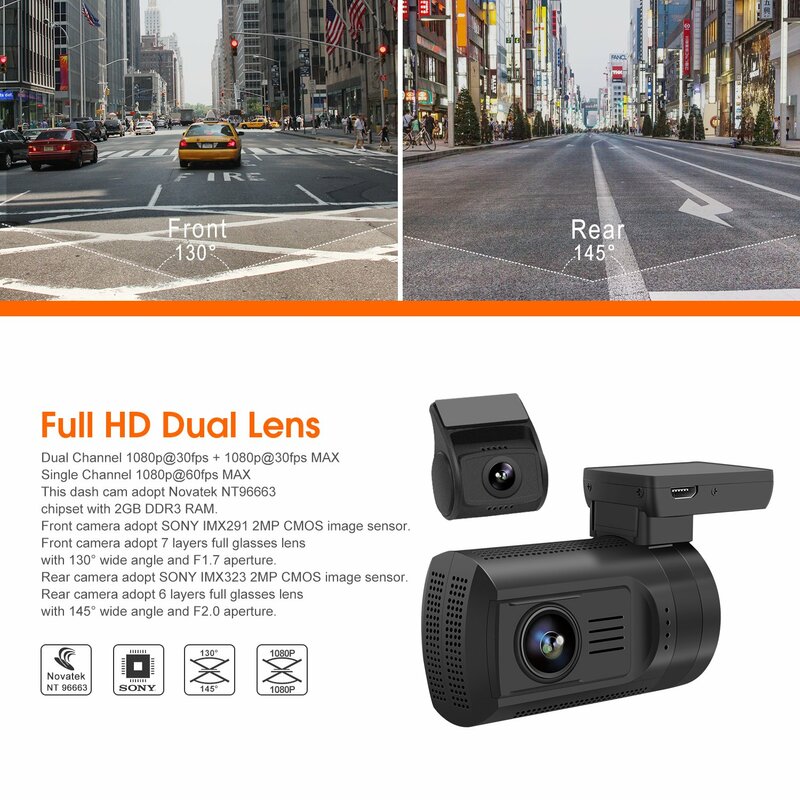 This dual dash cam comes with a built in Sony Exmoor sensor, which is among some of the best in dash cam technology. We found the sensor to be sensitive enough to activate when needed and not too sensitive that it records unnecessary footage. Overall, we found using this dash cam a really pleasant experience, despite the few issues that we had. Given that this dash cam only records at 30 frames per second, we weren’t expecting to be blown away by the quality of recording. However, the device actually exceeded our expectations here. Both the front and the rear camera record at 1080P full HD resolution and the quality is actually a lot better than some of the other entry level devices on the market right now. We did, however, have a few minor issues with the recording quality. First of all, we felt that the angle of recording from the front camera could have been widened a little for a better view. At 130 degrees, the front camera only covers three lanes which is fine, but it could definitely be improved. The rear camera is a little better at 145 degrees. One thing that we were definitely impressed with is the quality of the footage that we recorded during darker conditions. We were really impressed that we were able to see number plates very clearly. This is definitely thanks to the built in Sony Super Night Vision feature which is a really nice touch. Overall, we have to say that this dash cam exceeded our expectations in terms of recording quality. 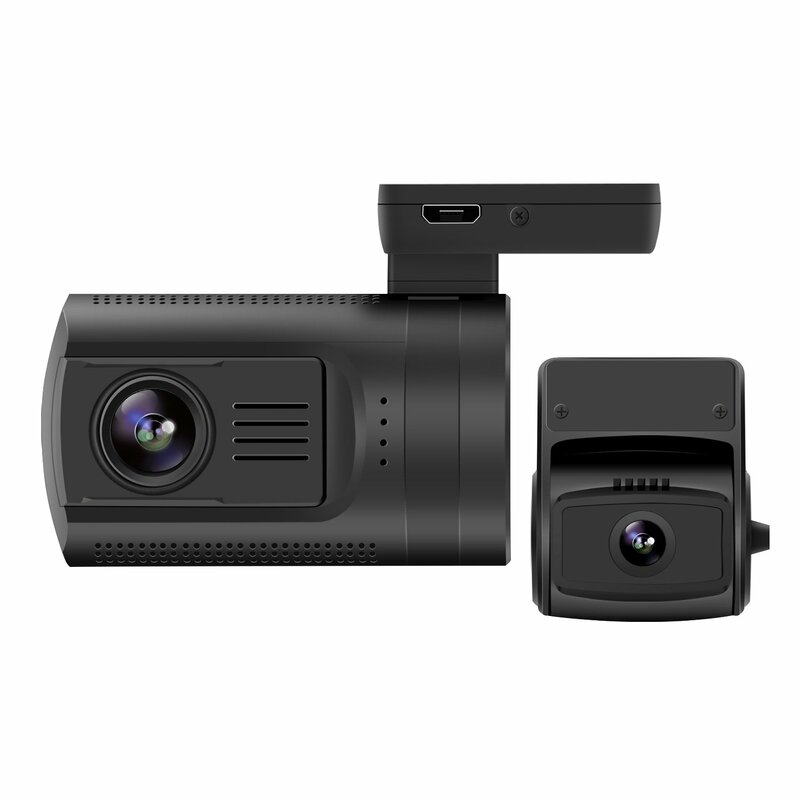 There are actually a couple of different extra features that we really liked with this dash cam, especially given that it is an entry level device. First of all, we really liked the parking guard feature. With this feature, you are able to set the camera to record when motion is detected. It works really well. This device also comes with a built in temperature control feature which protects the camera from becoming damaged in extreme weather conditions. We had no trouble with the device overheating or becoming slow because of colder temperatures either. Overall, we were very impressed. Whilst the zerogogo Dual Dash Cam does have a few issues that could do with ironing out, it more than makes up for it in other ways. We were very impressed with the recording quality in all light conditions and also really impressed with the extra features that you get. For an entry level device, this one is definitely worth considering.